This weekend, I had the blessing of going to spend the day with Connie Dohan, one of my mentors and wonderful, caring teachers. She gave me several energy healing sessions, read my cards, drew my angels and those of my children and husband, took a picture of my aura with her aura camera, taught me about crystals, and gave me advice on promoting my Reiki teaching practice. Her husband nurtured us with home cooked food. We took walks together in the spring sunshine. It was a very healing and rejuvenating day and one I needed very much. I’m so grateful for her place in my life. I learned a lot too. I get very caught up in helping others, taking care of my family, teaching, sending Reiki, and working on various writing projects. I’m spread pretty thin. It’s okay because I like to be busy, but I, like many others, forget to take time to receive the energy that can revive me and restore my balance. Things that bother me just sit in my energy, waiting to be taken care of. Sometimes they wait a long time. In spending a day receiving healing, insight, guidance, fresh air and good food, I realized how much I had been needing this replenishing. As I became aware of my baseline, and the shift that took place after each healing session, I was made aware of just how important receiving healing is. Not just for me, but if the people I share Reiki healing with are receiving this kind of powerful clearing, then what I do is not only important, but really needed. Since I became a Reiki practitioner, I believed in the benefits of Reiki. But experiencing it for myself in such a direct way was a very strong reminder of why I do this for others. 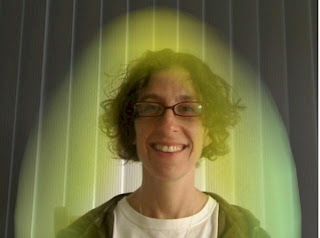 Energy practitioners are not exempt from the need to receive healing. In fact, all who offer energy healing to others should also receive healing from others on a regular basis. I’m not only a Reiki teacher, but also a working mom of four. Everyone falls into the category of being able to benefit and really needing the power of energy healing to help release the energetic sludge that accumulates as we wear so many hats. I didn’t even realize that I was in such ragged shape until I felt the difference afterward. I want to mention that I do daily self-Reiki healing at least once per day. But it’s been a while since I received Reiki from someone else in several powerful sessions, and wow, did I ever need it. I feel renewed and much more aware of my emotional, spiritual and physical state. The readings helped me see my path more clearly, and confirmed what I’m doing well, and what I need to strengthen. They helped me see my children and husband as being cared for and loved by the angels around them. They helped me connect more where I had felt doubts. Let me mention that I believe that we are all capable of learning to help each other in this life. Connecting to Life Force Energy through learning Reiki or another energy healing modality enables us to care for ourselves and to care for others. We are also able to receive healing from others who know this too. I teach Reiki because the more people who can do this, the better our world can be. I’m always in awe of how easy Reiki is to learn, and how life-changing it can be. Connie is seriously wonderful, and that is due in part to the fact that she decided to listen, strengthen her intuitive gifts, and nurture her own connection to Spirit. She fully embraced this path and now teaches and nurtures others who wish to do the same. I’m blessed to know her. I’m also inspired to continue moving ahead, offering healing and teaching to others, and nurturing them. Receiving energy refreshed my gift of being able to give. So this lesson was one on receiving, but also on the power of giving. I’m grateful to share this lesson with you here.